During this last week in November, there are many opportunities to seize the moment. Become a guest at a Victorian holiday-themed party or do yoga to Beyonce’s greatest hits. Here’s our list of what to see and do this week in Atlanta. Pair wine with a paintbrush at this paint and sip happening at the City Winery Atlanta. Learn step-by-step how to create your own masterpiece, and the cost of admission includes a glass of wine. Holiday fun is in the works at the upcoming Vinings Jubilee Christmas Tree Lighting in the form of train rides, ornament decorating and live seasonal musical performances. Time: Thursday, Nov. 29, 6:30 to 9:30 p.m.
With admission, attendees will get to take their pick of four beers at this outdoor event. Food trucks will be on site and live music will be performed at the event near Lake Clara Meer. The night at The Battery Atlanta will include a performance by acapella group The Graduates, a new light show, free Santa photo ops and a showing of The Polar Express. Take a step back in time to the Victorian era at this holiday celebration. There will be an artists market and wreath sale at the event space. The Tour of Eternal Homes will show attendees the cemetery’s mausoleums. See festive floats and hear marching bands at one of the largest holiday parades in the southeast. The parade will start at Peachtree and 16th streets and course through midtown until it ends at Peachtree and 5th streets. If you can’t make it out, WSB-TV Channel 2 will be airing the parade live. 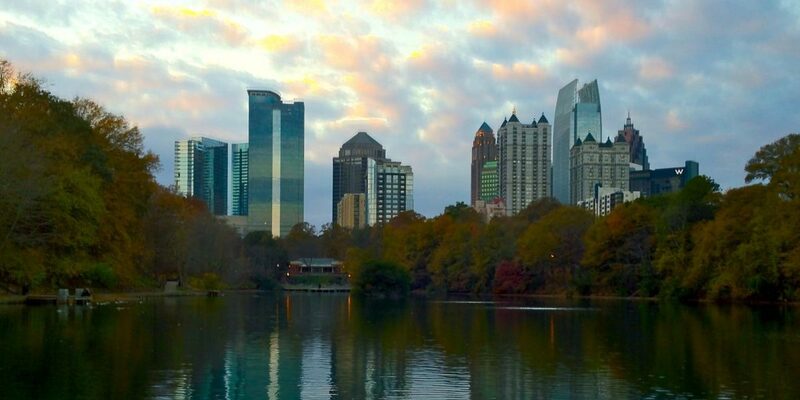 Unleash your inner kid by going to one of the comfiest bar crawls in Atlanta. Throw on your onesie as you go around bars in Buckhead. Admission includes entry into an 80s party, 90s party, Y2K party, along with drink and food specials. Beyoncé fans, this is the event for you. Throughout this flow yoga class, Beyoncé hits will be playing back-to-back throughout the event. Club lights and the blasting music will make this yoga class different than a traditional class.